Explanation: Massive star IRS 4 is beginning to spread its wings. 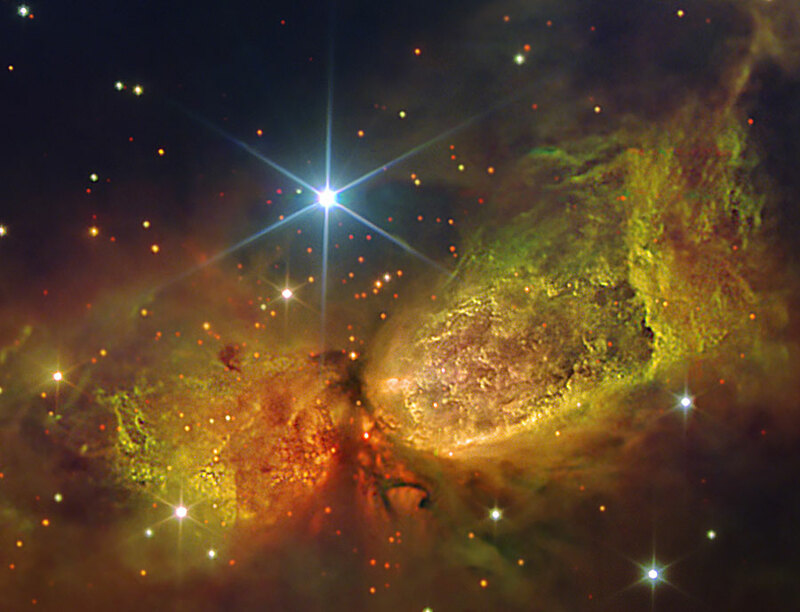 Born only about 100,000 years ago, material streaming out from this newborn star has formed the nebula dubbed Sharpless 2-106 Nebula (S106), pictured above. 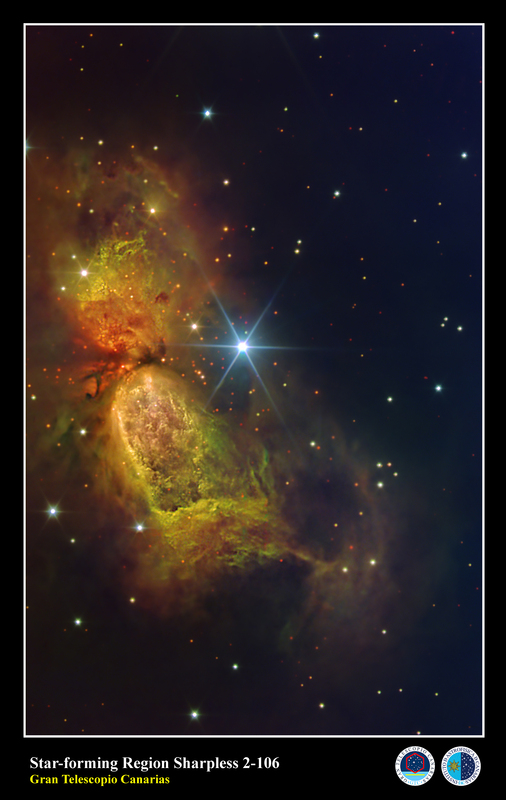 A large disk of dust and gas orbiting Infrared Source 4 (IRS 4), visible in dark red near the image center, gives the nebula an hourglass or butterfly shape. S106 gas near IRS 4 acts as an emission nebula as it emits light after being ionized, while dust far from IRS 4 reflects light from the central star and so acts as a reflection nebula. Detailed inspection of images like the above image has revealed hundreds of low-mass brown dwarf stars lurking in the nebula's gas. S106 spans about 2 light-years and lies about 2000 light-years away toward the constellation of the Swan (Cygnus).